So you’re working out, either to gain muscle or lose weight, and you see other people in the gym chugging protein shakes before, in between and after their workouts. The question is, do you need whey protein to gain muscle or lose weight? Is it necessary to use a protein powder supplement when you workout? Whey protein is primarily acquired through the cheese production process and has a higher nutritional value than conventional types of proteins including soy, fish, and beef. This makes it the most popular choice when it comes to protein powder supplements. Whey is the liquid that remains behind after the coagulation of milk during the process of cheese production. Furthermore, this type of protein is better absorbed by the body and, as a result, it helps build more lean muscle and bone density as well. More so, whey protein contains moderate levels of fundamental and branched chain amino acids that researchers believe is beneficial for muscle development. For this reason, BCAAs are often taken by bodybuilders as pre-workout and post-workout supplements. Whey and casein protein are the two primary protein components that are found in a majority of home dairy products. More importantly, whey is a water-soluble liquid that remain from the process of making cheese that is usually packed with casein proteins. While whey is often spoken of in powder form, it is important to know that whey can be acquired from milk in general. It is also important to note that while a majority of whey sold commercially is obtained from domestic animals, it can also be acquired from camels, buffalo and llamas amongst many others. Two common types of whey protein are ‘isolate’ and concentrated whey and are typically available in powder form. 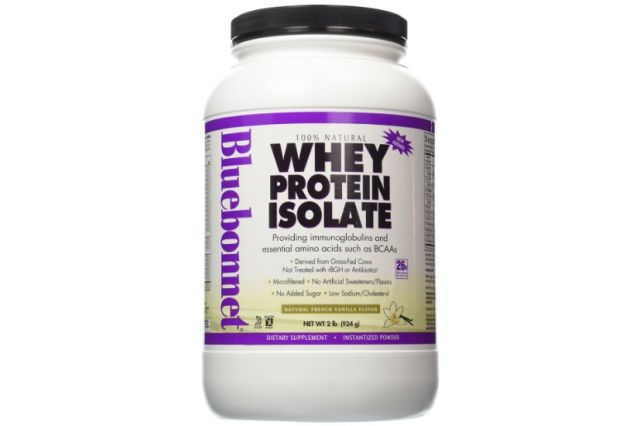 The isolate is the purest whey protein with up to 90% or more protein with reduced cholesterol, lactose, and fat. 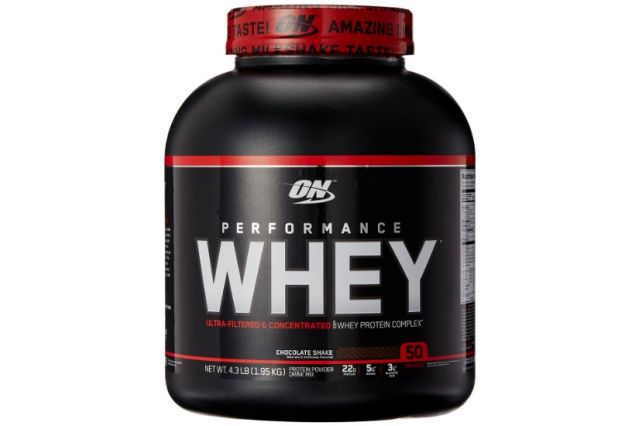 Whey concentrate meanwhile ranges from between 30% to 85% protein, with protein levels that are indirectly proportional to lactose and fat levels. Isolate has a higher concentration of protein which makes it offer more per scoop. The reason being that is goes through an extra treatment process to filter down the protein. This way you get more of it. This process also reduces all the other non-protein components, including lactose, making it more tolerable some individuals compared to whey concentrate. However, because of the extra steps involved in making whey isolate, it is also more expensive. For supplement users or fitness enthusiasts, whey is readily available online in myriad forms of supplement sizes and flavors to suit your particular muscle development regime. However, it is highly suggested that you conduct some adequate background research to ensure that you don’t procure a wrong product since the can contain a big difference in percent of protein even between similar whey isolate products. The particular composition of whey makes it an ideal source of nutrition for professional athletes and fitness enthusiasts as well. In other words, it can be implemented as a body supplement without the anabolic side effects that most conventional supplements have on the body. More importantly, the use of whey protein as a source of essential amino acids and its capabilities in reducing health complication such as heart disease has been a primary focus of ongoing research. Anyone who’s interested in whey protein is probably looking to it to help them gain muscle. 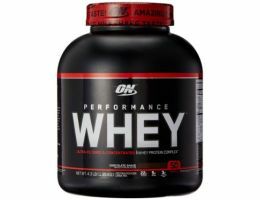 As a protein supplement, that’s its main purpose and because whey offers us the best value for money as far as protein powder supplements go, this is the most popular choice. Whey is a superior solution for making strength gains especially for those involved in regular physical activity, strength training and bodybuilding. In fact, a recent study by the Baylor University in Texas found that whey protein does very well compared to other workout supplements. The study involved 20 men engaged in strength training. Over a 9 week period, the participants were given 15 grams of whey and casein protein along with a 22 gram placebo and the rest offered 6 grams of fundamental amino acids. The study observed that those who consumed whey had improved lean body muscle and enhanced bone density as well. A recent 12-week study by was performed by researchers in Minnesota involving subjects whose overall daily intake was reduced by up to 400 calories. The researchers then offered the participants whey while the rest were offered diets with similar caloric amounts. The study concluded that those consuming whey shed a notably higher amount of fat, and they also experienced enhanced muscle development as well. Whey is beneficial for controlling appetite and hunger thus reducing the chance that you will reach for an unhealthy snack to satiate your hunger. One recent study by Australian researchers took 29 obese men and offered them four varying beverages. The study concluded that users who consumed the beverage that had whey had notably reduced amounts of ghrelin hormone that informs the brain when you are hungry. Although whey might be a beneficial natural supplement for the body, in some few cases some consumers report some mild side effects. It is also vital to note that since it is an all-natural extract, it has hardly any adverse side effects on pregnant women or perhaps individuals who are on prescription drugs. Do You Need Whey Protein When You Workout? We’ve seen that this protein supplement is in fact very effective in promoting lean muscle gains. 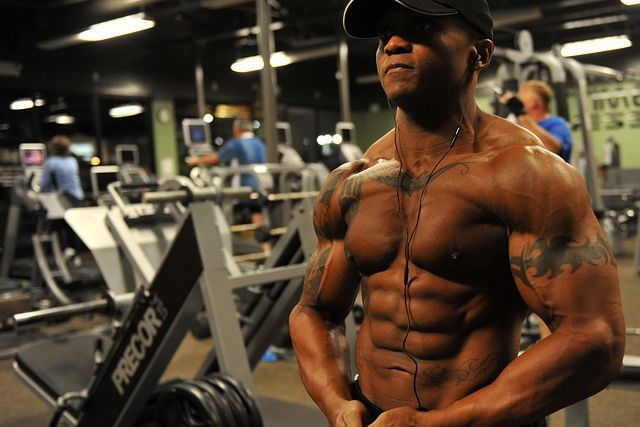 As such it does help build muscle for anyone whose workouts are geared towards that purpose. That said, whether or not you need whey protein in your diet to build muscle or to help you with your workouts really depends on you. Whey protein is a supplement. And by supplement, it isn’t meant to replace actual food you eat. It is there to add to your protein intake should you find it difficult to get the needed amount of protein to required by your fitness goals. A good way of thinking about whey protein supplements is to think of them as protein food sources like chicken or beef, except that it’s been turned into powder form. This means that if you’re getting enough protein in your diet, then there’s no need to spend the extra cash for protein supplements. Save your money. If however, you’re not getting enough protein from food, then using a protein powder like whey lets you supplement your diet so you get enough protein.